You name it! 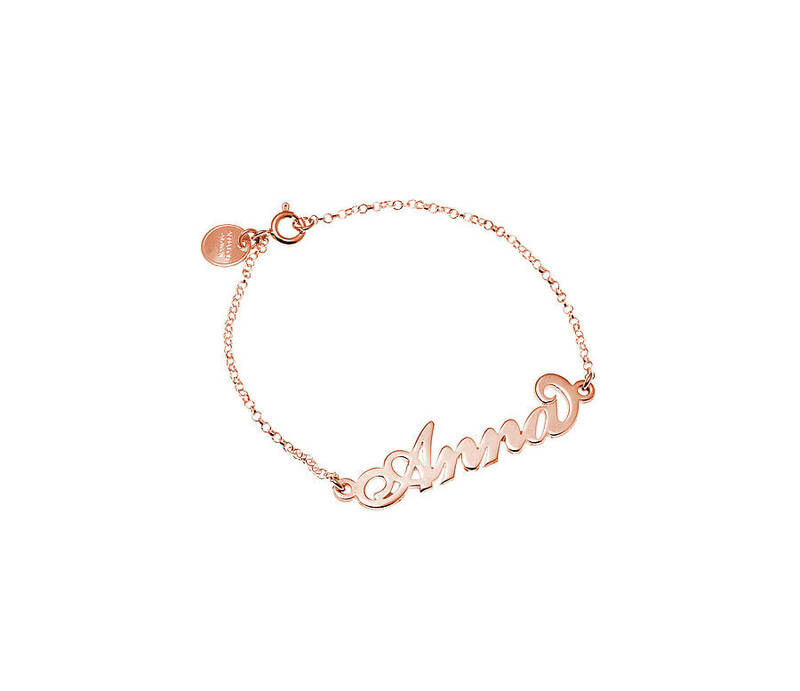 Design and personalise your own original Name bracelet . Laser cut and finished in London by hand. 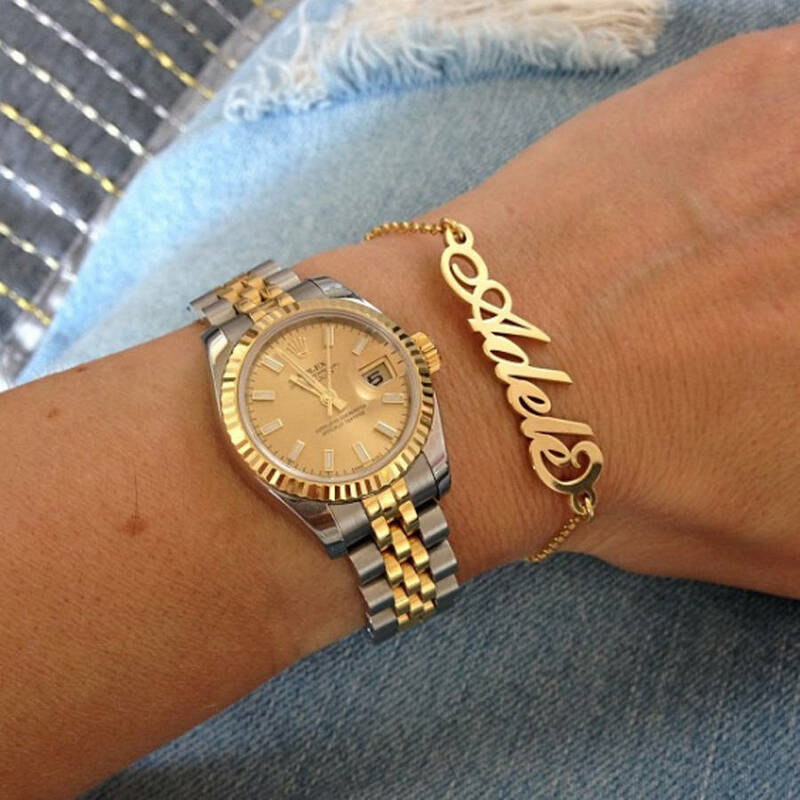 The perfect completely unique gift for a friend, a loved one or simply to treat yourself. 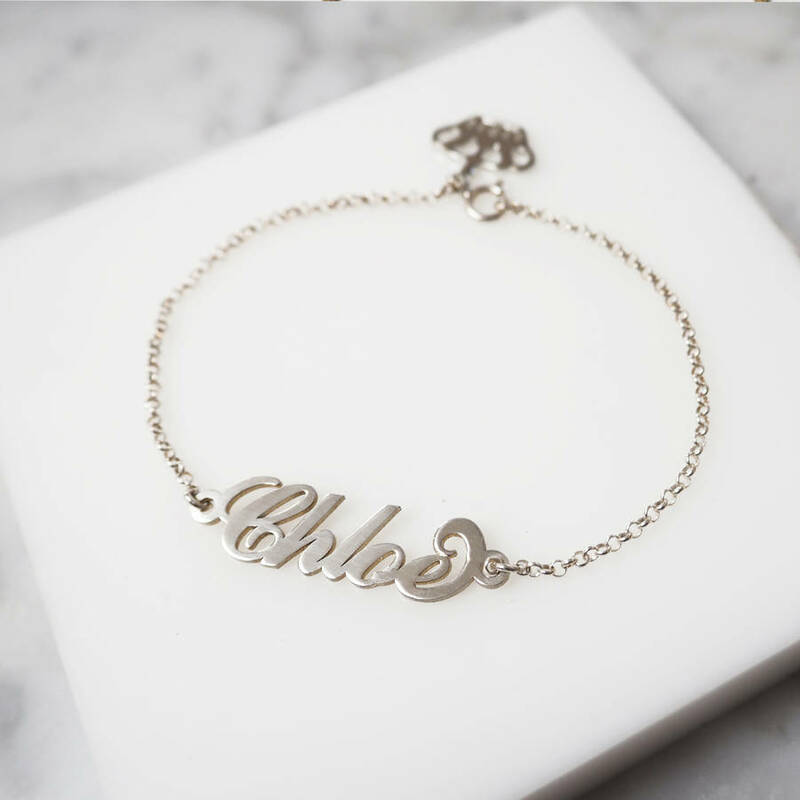 Can be worn as either a bracelet or an anklet and we recommend that the name is limited to 5 letters. 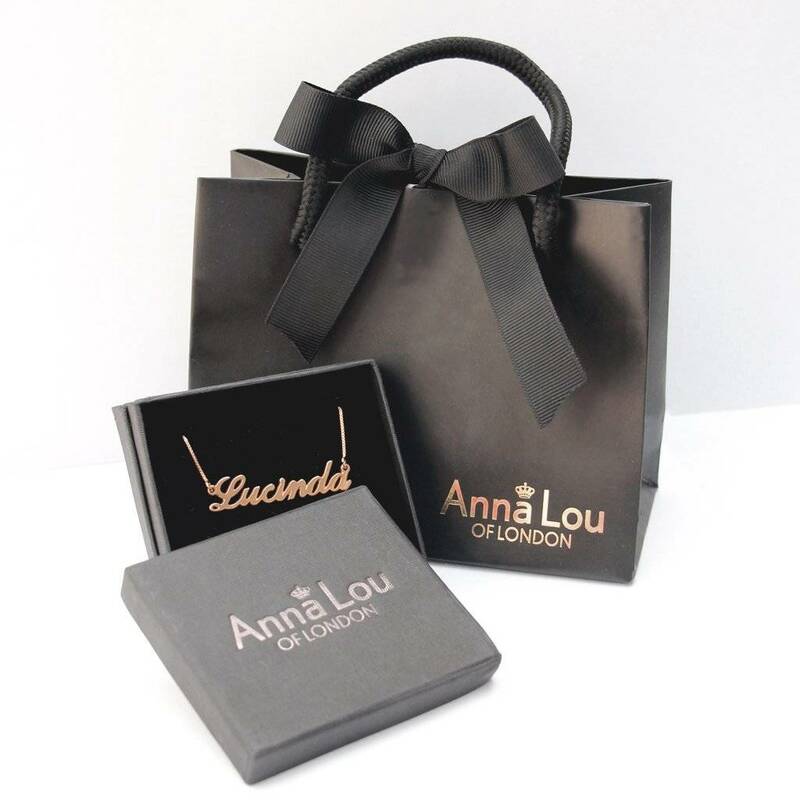 All of the Anna Lou of London personalised jewellery is handmade to order so please be aware that delivery times can be up to two weeks. Please message us with any special requests via the 'ask seller a question' button. One name or word per pendant. First letter only is capitalised. 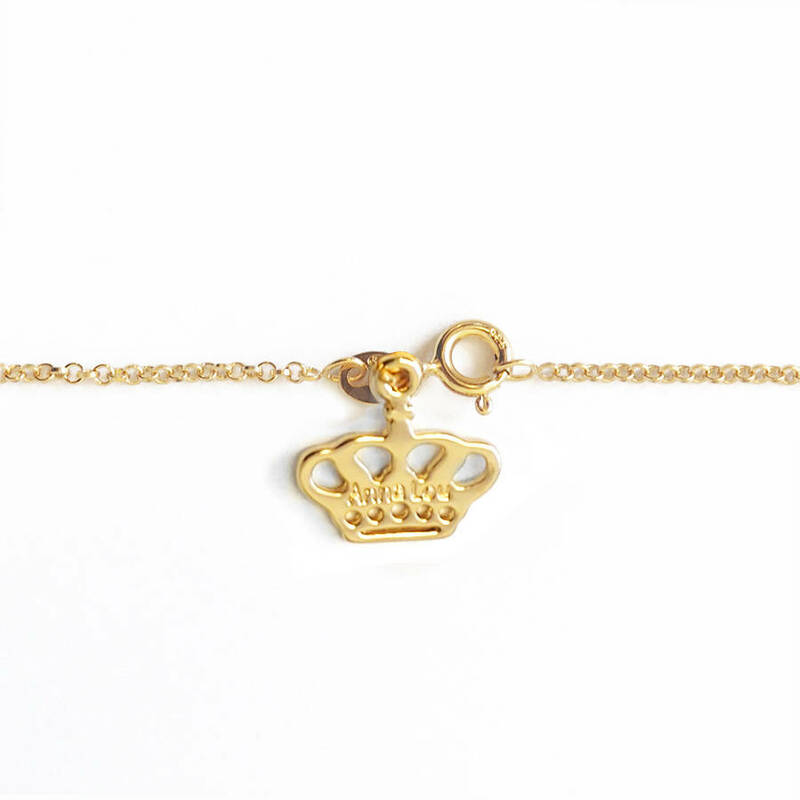 The bracelet is made of double thick solid sterling silver (0.925) with either 18kt gold or rose gold plating on sterling silver, and comes with a sterling silver (0.925) chain. All the rings are soldered closed to help it last for a life time! 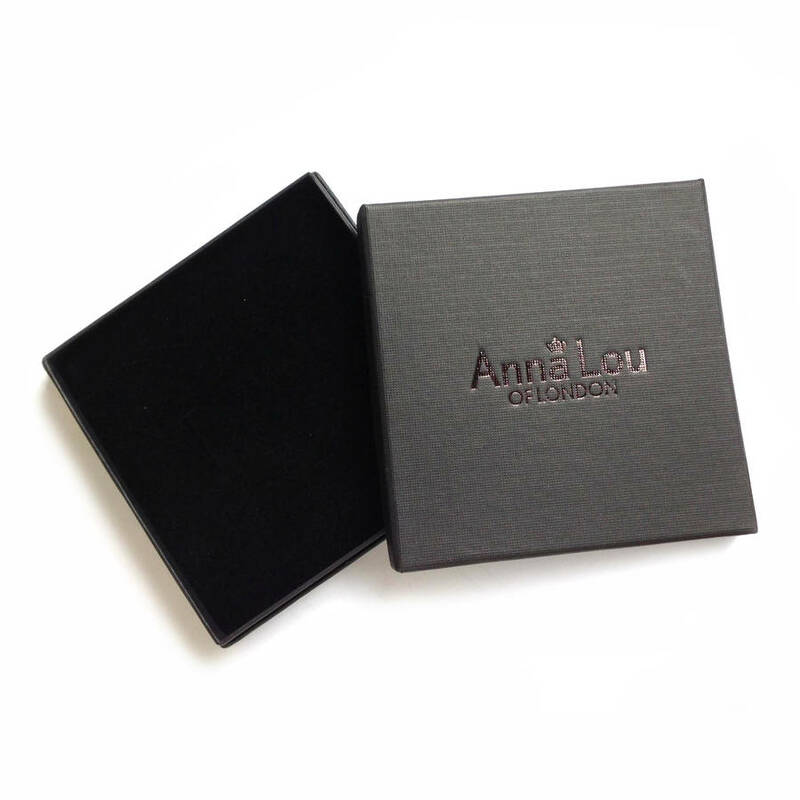 This product is dispatched to you by Anna Lou of London.